From Mattel, here we have last year's 1:55 scale diecast re-release of Erik Laneley! 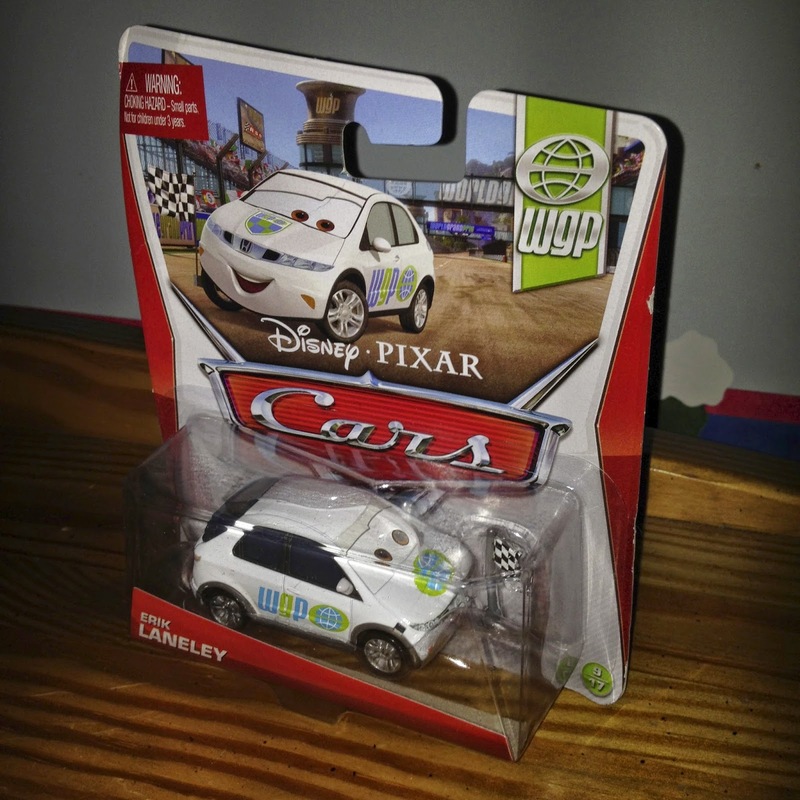 This release was part of the 2013 "WGP" sub-line (#9/17), but was originally available in the original Cars 2 collection (#39). 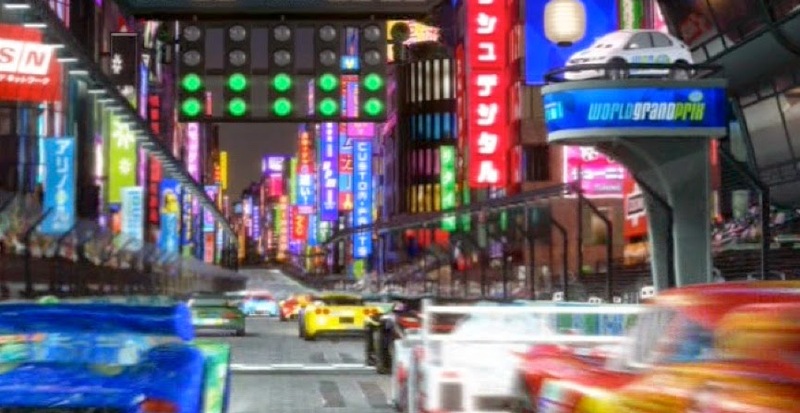 In the film, Erik is the car who starts the Tokyo race of the World Grand Prix (screen shot above). TRIVIA: He is named after Pixar employee, Erik Langley.